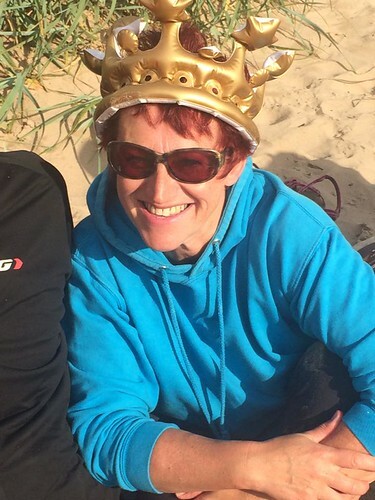 When it comes to turning 50, our very own captain Jac is like the queen with 2 birthdays. The celebrations kicked off with an NBRC first, the five island tour (FIT). The overcoming of Jacque’s fear of everything that lurks beneath the sea was marked by the inflation of a marine creature and a photo shoot at each island. 4 seasons in one afternoon, the weather threw a bit of everything at us but the 2 birthday boats successfully rowed round the Bass Rock, Craigleith, the Lamb, Fidra and finally to Eyebroughy (or Ibris). 4 hours later we landed back in North Berwick, the sun came out and the barbeque was lit. A fantastic day with a great bunch of friends. Happy 50th birthday Jacque!